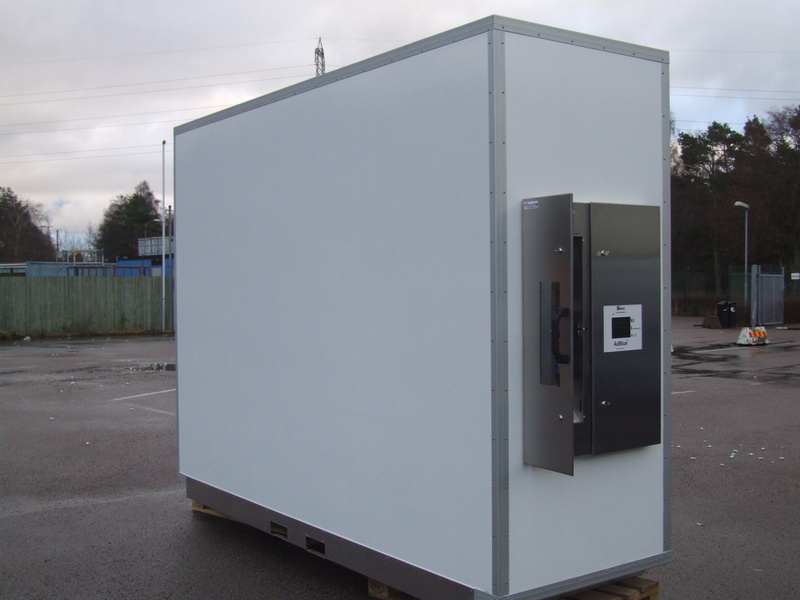 AdBlue Unit to be delivered ready for filling. Built in Sweden to secure full functionality in the nordics. Two different models with 3000 liter or 4000 liter tank. Customer fit possible with different liverys. Complete with MID certified AdBlue Dispenser Unit. Overfill protection, heating system, non drip filling coupling. 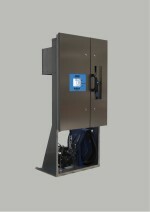 Choose between right, left, front or double sided dispenser unit. AdBlue dispenser to be installed in a AdBlue tank unit, in a buliding or in a MiniTank. Stainless steel panels secures high finish. Includes elektronics with LED display, volume meter and nozzle. Hose retraction are able as an option in various hose lengths. A number of protocols to communicate with payment systems.